The temperatures are expected to reach 60 degrees here on Friday! Here is one last tables setting using subtle winter colors. Soon these browns will be traded in for bright pinks! Hopefully, my next tablescape will be full of color! Next Post Change in Game Plan? I'd love to see your browns paired with your bright pinks!!! Hey…every time I come to your blog, I try to avert my eyes to I don't catch any of your side section. Why? Because every time I do, my eyes go straight to the words "pina colada", and then I want one!!! I am seriously sitting here considering a little trip to the grocery store for some fresh pineapple to make one! Doggone it!!! I'll have to change out of my pajamas! Oh, well! 😉 Thanks for stopping by my blog this evening. I appreciate it! Have a wonderful week! I think everyone has spring fever! 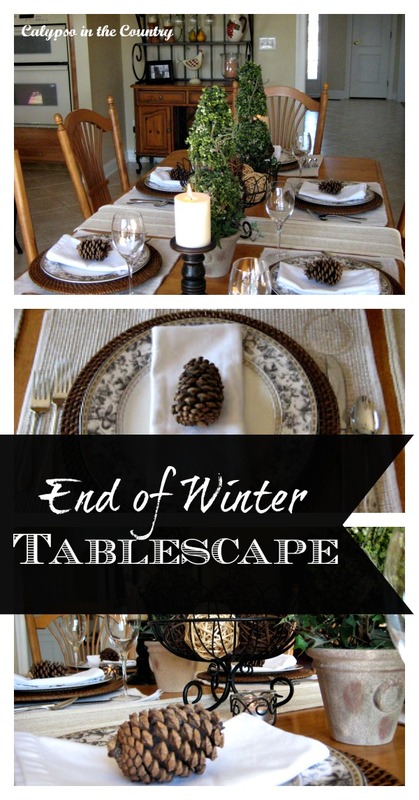 I love your winter tablescape, especially the plates, chargers and the nice touch the pinecones add. I'm looking forward to seeing the pinks…By the way they are saying 60's maybe 70's for us, we earned it! A very lovely table! I love those dishes and so wish I had gotten them. The nito chargers set the perfect mood. I used pinecones too this week.. how funny. thanks for dropping in and leaving your kind comments. Shelley, this is such an appealing table! I love the serene color scheme — the plates are just lovely, too. And I thoroughly second the "Goodbye to Winter"! Thank you for your kind comments on my table this week! That is really pretty and I love the simplicity. Your table so clean and pretty! Your tablescape is beautiful! I really like the colors that you used. 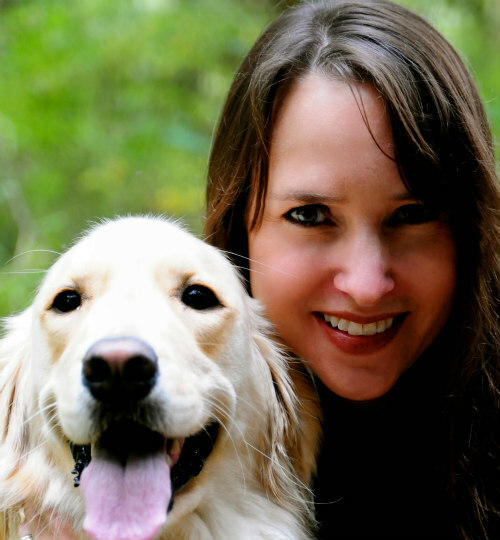 I really like your blog and have had a great time reading over your posts! Shelley, ♥♥♥ your table…the plates are gorgeous…what is the pattern? A most beautiful way to say so long to winter!